Got stuff? 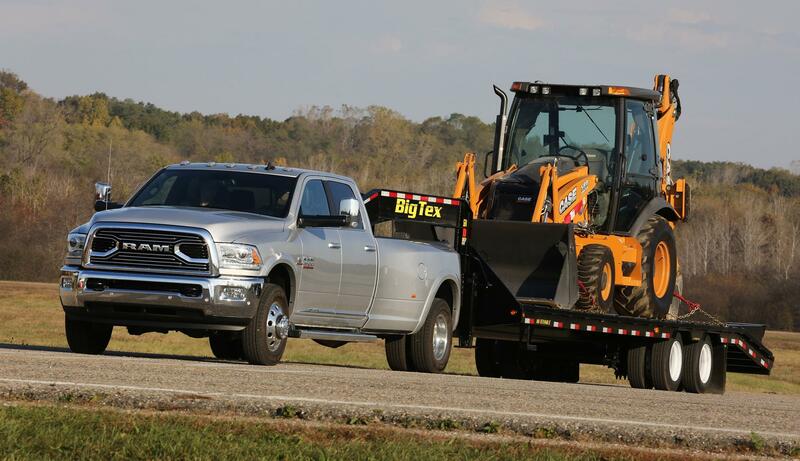 The Ram 3500 can tow it. Heavy-duty pickup trucks have been around for some time, filling in the slot between a standard half-ton pickup and a big rig truck. 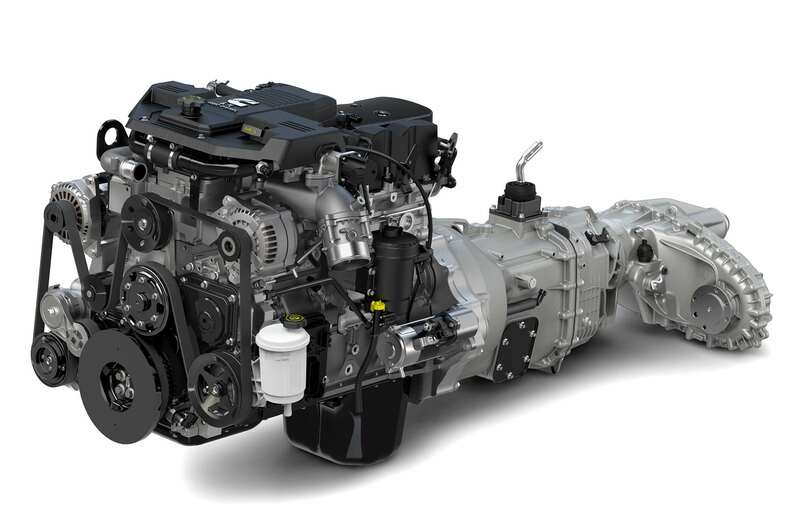 The 3500 class of trucks are generally “one ton” machines capable of pulling massive amounts of load but having cargo capacities mostly in line with what most pickup trucks can do. The 2018 Ram 3500 with dually rear tires can tow over 31,000 pounds. The 2018 Ram 3500 is a big, big truck. With a 31,000-pound potential tow rating and cargo of up to 7,300 pounds or so, it’d better be large enough to do the job. Interestingly, though, the Ram 3500 also rides well when unladen and the dual-tire rear axle is surprisingly grippy when the weather gets wet and inclement. 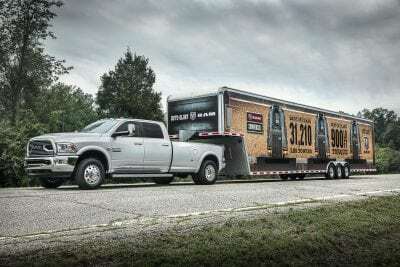 Ram trucks are known for their roomy interiors, good highway ride, strong engines, and class-leading towing capacities. The 2018 3500 is no exception. Designed to be muscular, the Ram 3500 is that from the ground up. This might not appeal to everyone, but with a serious work truck like this, it’s not a bad thing. 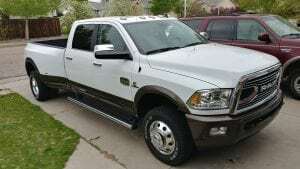 A two-door regular cab, four-door crew cab, and four-door larger crew cab (called “Mega Cab”) are available for the Ram 3500. 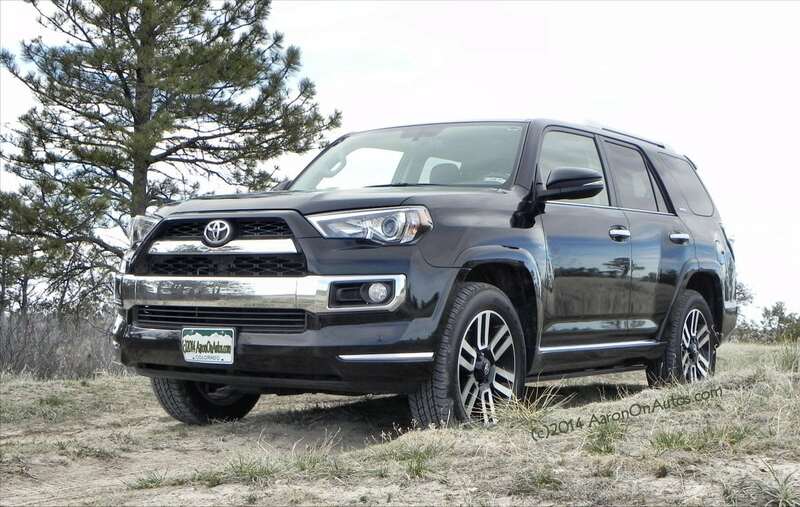 The regular cab has an eight-foot cargo bed while the crew cab can have the 8-foot or 6-foot, 4-inch bed. The Mega Cab has the shorter bed only. Engine options include a 5.7-liter V8 gasoline engine (383 horsepower, 400 pound-feet of torque), a 6.4-liter V8 (410 hp, 429 lb-ft), or a 6.7-liter turbodiesel engine (350 or 370 hp, 660 or 800 lb-ft, depending on transmission). Both single and dual-tire rear axles are available. There are six trim levels for the 2018 Ram 3500, each with varied configuration options that can include three cab styles, two bed lengths and three engines. 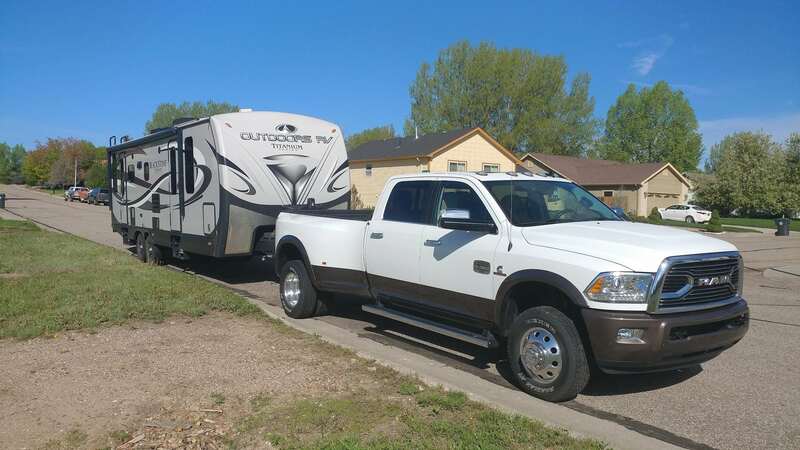 Tradesman – This is the base model for the Ram 3500 and can be had in any of the three cab configurations and with either bed length, depending on cab option. Standard features include automatic headlamps, tow hooks, a locking tailgate, a 40/20/40 split front bench, vinyl upholstery, a driver information display, auto-dimming rearview mirror, rearview camera, and a stereo with a USB port. A few ala carte options are available for the single cab but are standard for the larger cabs. These include power windows and power-adjusting side mirrors. SLT – All three cab configurations are available with this trim. This option adds exterior chrome elements, a power-sliding center window, remote lock/unlock, cloth upholstery, power accessories, Bluetooth connectivity, satellite radio, and a 5-inch touchscreen interface. Big Horn – Also known as the Lone Star in Texas, the Crew and Mega Crew cabs are the only options for this package. The most popular trim for the Ram pickup truck line, the Big Horn/Lone Star adds more exterior chrome, a 115-volt power outlet, a power-adjusting driver’s seat, premium upholstery, audio controls on the steering wheel, and a second USB port. Most of the options in later trims can be added in packages or ala carte to this one. 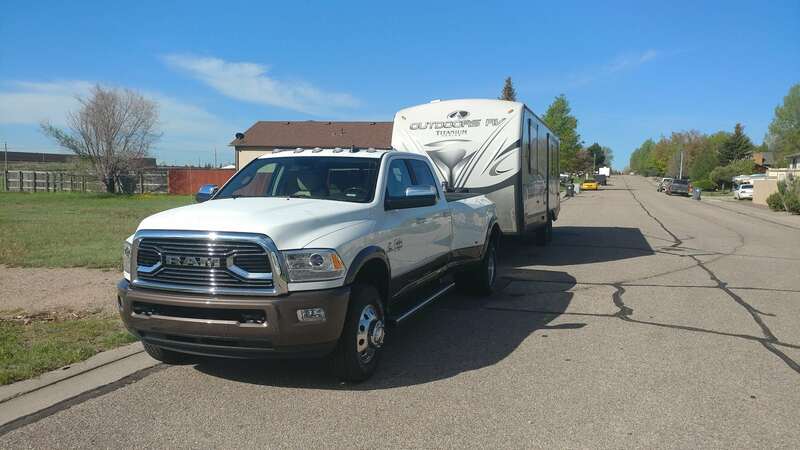 Laramie – This option is available only with the Crew and Mega Crew cab configurations. Engine automatically upgrades to the 6.4L V8 and this package adds even more exterior chrome, projector headlights, LED tail lamps, power-folding and auto-dimming side mirrors, parking sensors, dual-zone climate controls, leather upholstery, and a power-adjusting front passenger’s seat. Lot of other amenities are also added for comfort and driver convenience, like heated seating and steering, a larger driver information display, etc. Infotainment is upgraded to include better audio, a WiFi hotspot, HD radio, and Apple CarPlay/Android Auto on a larger 8.4-inch touchscreen. Laramie Longhorn – This trim is available only with the Crew and Mega Crew cab configurations. Even more exterior chrome is added plus “two-tone” color with color-keyed bumpers. Running boards, a larger center console, better interior upholstery and carpeting, power-adjustable pedals, bucket seating, and navigation are also added. Limited – This option is available only with the Crew and Mega Crew cab configurations. Yet more chrome plus larger wheels, automatic high beams, automatic wipers, keyless entry/ignition, exclusive black leather upholstery, and RamBox cargo management as standard. 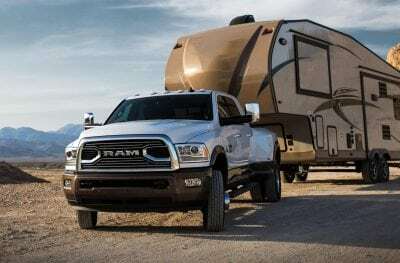 Optional on almost all Ram 3500 models is a load-leveling suspension, larger tow mirrors, a camera for the cargo bed, a sunroof, meatier tires, and trailering prep packages. From the outside, the 2018 Ram 3500 is a massive truck. Add on the chrome and other elements of the upper trim packages and it’s in-your-face with its size and muscle. That might seem like a negative, but in the heavy-duty truck world, that’s the norm. The huge style of the Ram 3500 includes the signature Ram grille and fascia shape, which curves in a shallow bell to create wide shoulders and big fenders. A giant ram’s head marque in the center of the grille ensures that onlookers know what kind of pickup truck this is. 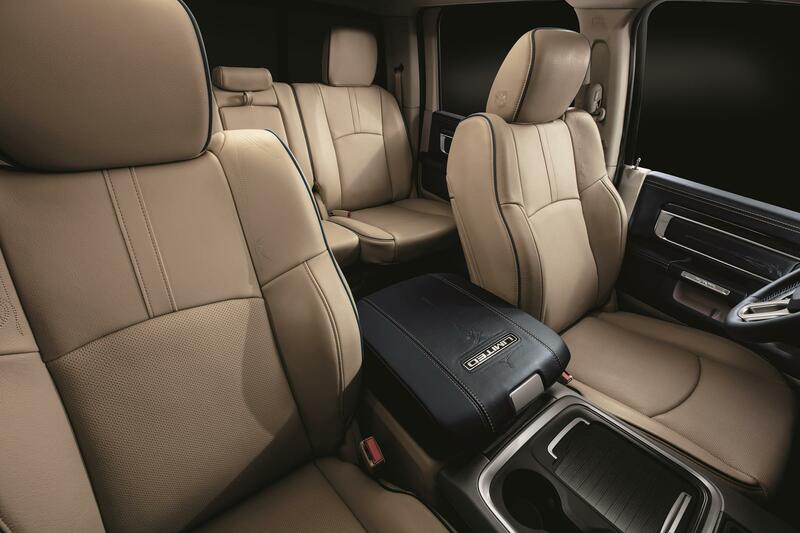 Inside, the Ram 3500 is, not surprisingly for those familiar with the Ram brand, extremely comfortable. Everything is well done, including controls layout, intuitive placement of common items, and knob/button sizes. The latter helps when cold hands or gloved hands are at the controls. 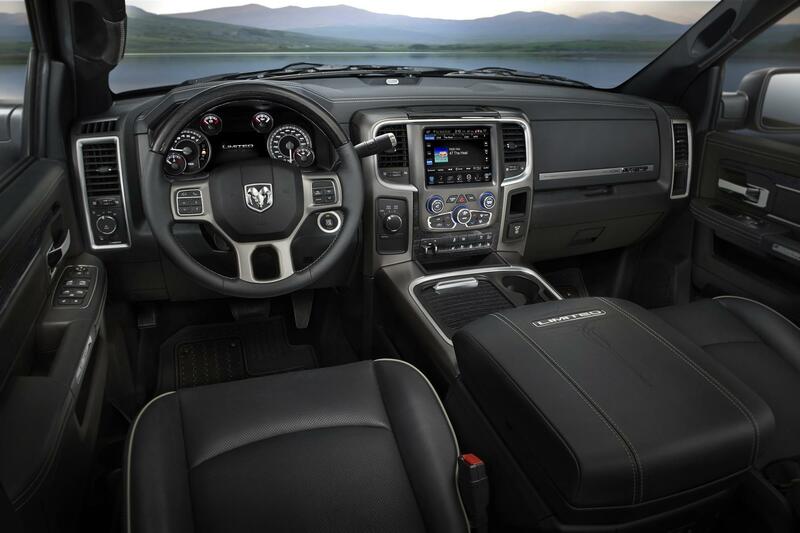 Ram is well known for both a smooth highway ride and lots of interior storage. 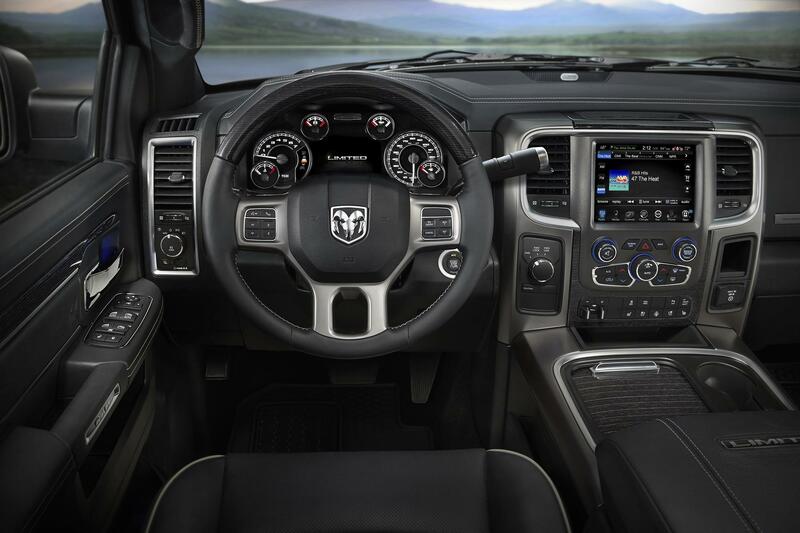 Cup holders, small item stowage, and so on are plentiful throughout the Ram’s cabin, no matter its size or trim point. All good things. The 2018 3500 drives very well when empty. Surprisingly so, given its bulk and heavy framing. It’s made to be under a load, though, and that really shows when the road gets washboard or rough. Yet the Ram 3500 never feels out of control, even when empty and driving in inclement weather. When towing, though, the big Ram really shines. We drove the diesel-powered 2018 Ram 3500 and towed both from the bumper and with the fifth-wheel attachment. Loads varied in size, but were all between a quarter and half of the truck’s total capability in weight. Not once did the Ram feel like it was going to strain and it was composed and capable at all times. The diesel engine, in particular, was good about retaining its performance feel whether loaded or not. Out on the highway with the 2018 Ram 3500 pulling a trailer, the usual safety issues apply, but it’s always confident about what it’s doing. Sway control is good and trailer hookups are relatively simple. The heavy-duty class is all about towing and it’s obvious that Ram’s engineers put a lot of focus on that with this truck. In the 3500-class of heavy-duty pickups, there are really only two competitors for the Ram 3500: the Ford F-350 and the Chevrolet/GMC 3500HD twins. Neither Toyota nor Nissan make a truck of this size. Other competitors, in the commercial realm, could include models from dedicated truck makers like Freightliner and International. Heavy-duty buyers are usually brand loyal, whether buying commercially or as consumers. So comparisons are often arbitrary and with preconceived results. Most pickup trucks in the HD classes are more than capable of doing the jobs expected of them. Our experience shows that the Ford models are generally more luxurious in appeal while the GM models are more confident trailer pullers. The Ram offers a more well-rounded package, hitting a point in between the other two brands as an even-keel option. Roomy interior with great design quality. Strong engine and drivetrain choices. Towing capability is excellent, with unusually good comfort while doing so. Many buyers looking at the 3500 are more likely in need of a 2500. Can feel over the top with the chrome. Difficult to predict reliability metrics. The 2018 Ram 3500 is a strong, serious machine with a long list of “best-in-class” claims. Ram trucks have a muscular look that matches the pumped up capabilities on their spec sheets and the 3500 is no exception. 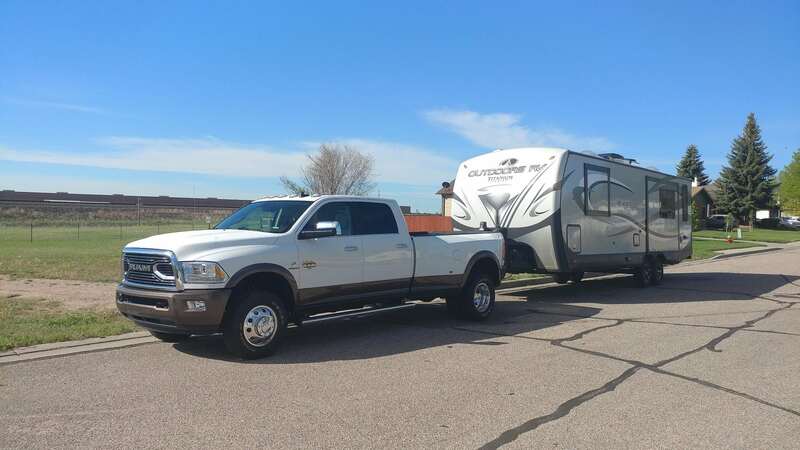 This is a great towing rig with lots of interior comfort and road appeal. The Ram 3500 was a manufacturer’s press loan for several days. During that time, varying passenger loads were undertaken with and without cargo. Trailering included a bumper-pulled 28-foot RV, a bumper-pulled (partially-loaded) 24-foot car hauling flatbed, and a 12,400-pound (loaded) 5th-wheel-pulled enclosed animal trailer.